Planning a birthday, holiday, anniversary, corporate, grand opening, film release, or other event? 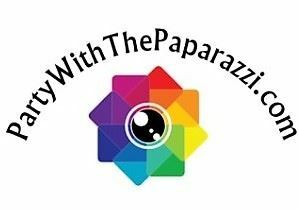 PartywiththePaparazzi.com can have you fully covered with professional photography, video, celebrity look-a-likes, and paparazzi-style fun! Ask about our Guest Interview Videos, 360 Party Videos, Fake Party Goer-Actors who can create various "scenes" at your party, etc! Established in 2006, we are #1 in the USA and serve all major cities! Call us for your next Red Carpet, Awards, Grand Opening, Prom, Graduation, or other event! Ask us for some fun ideas for intimate family gatherings, birthday parties or business gatherings! Special Features: Professional Photography and/or Video for all events: Corporate Events, Awards Ceremonies, Red Carpet Events, Birthday Parties, Anniversaries, etc. Paparazzi Style Photography for Red Carpet Events and "15 Minutes of Fame" ! Visit website for info!